Want classy and unique for your outdoor wedding? These are truly stunning, and a cut above the rest! They are larger than you may think. 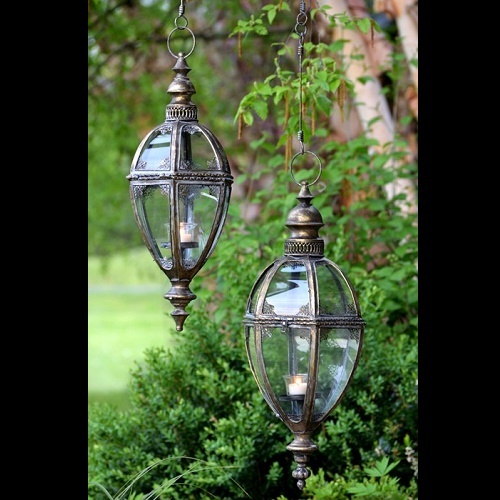 Door opens for a battery operated votive to place inside, chain included.